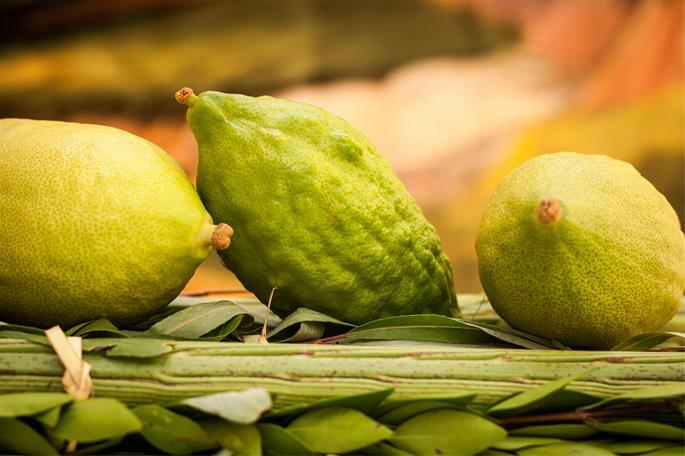 Of the four species of plants that we have a mitzvah to take together on the holiday of Sukkot—the lulav (palm frond), etrog (citron), hadas (myrtle) and aravah (willow)—the etrog stands out. It is the most beautiful of the four, and—let’s face it—the most expensive. Citron trees are small and delicate, and they only grow in warm climates. 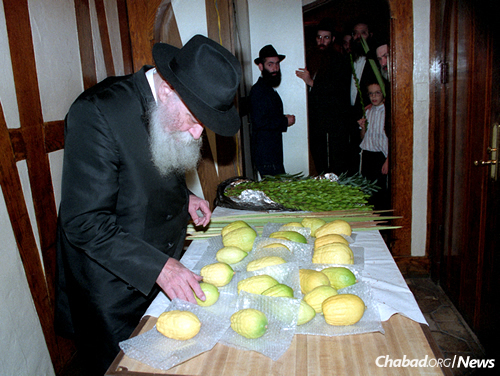 Although one can get a kosher etrog from a number of different countries, some are particular to get their etrog from specific regions. 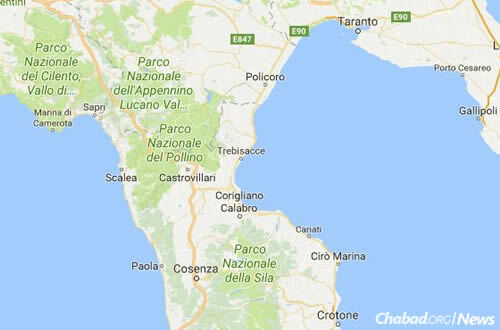 Many, including Chabad, prefer “Calabria etrogim,”grown on the southern Italian coast in the region of Calabria. They can also be referred to as “Yanover etrogim” since “Yanova” is Yiddish for Genoa, the port city in northern Italy whence these etrogim would be shipped to other parts of Europe. Why are these etrogim so prized? How far back does this tradition go? See Shulchan Aruch Harav, Orech Chaim 648:31. See the responsa of Chatam Sofer, Orach Chaim 207. See the responsa of Chatam Sofer, Orach Chaim 207; Shaar Hakollel, ch. 37; Sedei Chemed, Asifat Dinim, Maarechet Etrog, Klalim, Maarechet Lulav Uminav. See Igrot Kodesh, vol. 13, p. 110 (also in Shulchan Menachem, vol. 3, p. 225-226) and footnotes ad loc. for a possible reason as to why they had to use the Clouds of Glory, and going a normal, “natural” way would not have sufficed. See Sefer Hasichot 5691,p. 141; Sefer Hasichot 5710, p. 380; Sefer Haminhagim–Chabad, p. 65. Midrash Bereishit Rabbah 67:6, quoted in Rashi on Genesis 27:29. See, for example, Igrot Kodesh, vol. 10, p. 90. Why Stay in the Sukkah When It is Raining? What's the Reason for the Sukkah? Why can't I use a lemon? Do I have to sleep in the sukkah? Can I use corn stalks to cover a Sukkah? As Calabria is in Italy's far south - at the "boot's" instep - and Genoa is in the North (not far from France), it seems odd that Calabrese etrogim were exported from Genoa. Naples would have been far closer. Until the early 20th Century, refrigerated trucks, railcars, and ships were not available. Thus shipping etrogim Italy's full length - over roads likely pretty primitive until post-World War II - likely would have been very hard.